ELISA Kits | BioVision. Inc.
Enzyme-Linked Immunosorbent Assay (ELISA) is a popular analytic tool to detect and quantify he presence of proteins or small molecules. 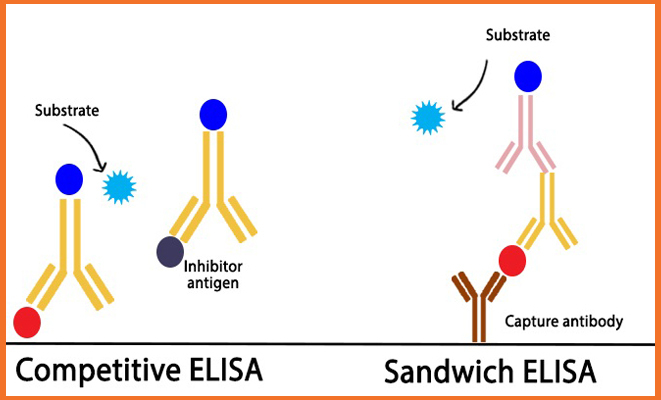 BioVision offers accurate, fully validated, ready-to-use ELISA Kits for convenient and sensitive quantitation of a wide range of targets in various sample types.These ELISA kits included pre-coated plates with capture/detection antibodies, standards, and buffers and accessory reagents. Our stringent manufacturing and quality control standards allow us to offer the highest levels of performance and consistency with each ELISA kit you run. • Versatile: broad range of sample types such as serum, plasma, tissue, cell culture supernatant, urine and many other biological fluids.